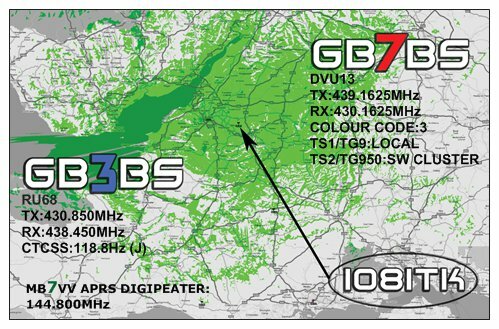 Join the Bristol 70cms Repeater Group or renew membership here. We now have several ways you can join, renew membership or just make a donation to the repeater group. Membership is just £8.00p per year. Don't worry if you do not have a paypal account, clicking one of the Paypal options will allow you to make a payment using a credit or debit card. To Join or Renew membership then select the "Pay Now" option. To just send a Donation select the "Donate" option. To Join, Renew or send a Donation via Post, download and complete the Membership Form and simply post it to us at the address below enclosing your payment. If you just wish to change any of your details such as Callsign, Email or Postal Address then you can drop us an email or use the "Contacts Us" form to let us know. c/o Bristol 70cms Repeater Group. Please ensure that any Cheque's are made payable to "The Bristol 70cms Repeater Group". PLEASE NOTE: Membership is based on a yearly subscription (from the date processed). Although we can process advance yearly membership we would discourage this method. At present we DO NOT have a Family membership, or any other concessions. Please also note ALL membership fees and donations are NON refundable. We recommend you do not send cash through the postal system. The Bristol 70cms Repeater Group cannot be held responsible for lost or missing payments. Being listed on our website is conformation of membership. No receipts are issued unless a stamped address envelope has been provided. Any information/data provided will ONLY be used to mail you our newsletter. Data will be deleted 6 Months after the laps of any membership. Reminders of pending membership laps will be sent via email where possible one month before the expiration date.